February is theme month once again for Revolution Rock! For more information, visit the always intriguing and informative, Revrock.blogspot.ca. Click to learn more and listen to the first, second, and third part of the series. Tuesday, February 25th, will mark Revolution Rock’s 8th annual Surf Rock program on CJAM 99.1 FM. The yearly program was initially started as a reason to incorporate a collection of Surf music that I had into the Revolution Rock radio program, which initially just featured 70s Punk and New Wave music only. I have since incorporated Garage Rock, Alternative, Indie, Surf and a variety of other sub related genres into the program on a weekly basis. The annual Surf program entitled Revolution Surf has however stuck, each year at the end of February I have one program devoted to this musical genre. This year’s program will also feature, as have past programs a special guest segment from Derk Brigante formerly of CJAM’s Surfphony of Derstruction, which now continues as a podcast online. 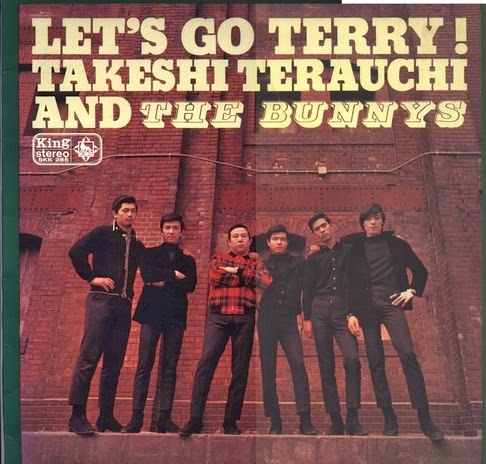 This year’s program will feature a mini spotlight on Surf Rock from Japan with a focus on Japanese Instrumental Surf guitarist Takeshi Terauchi and his 1966 album with The Bunnys, Let’s Go Terry. Catch this episode on Tuesday, February 25th from 10:30 until noon.